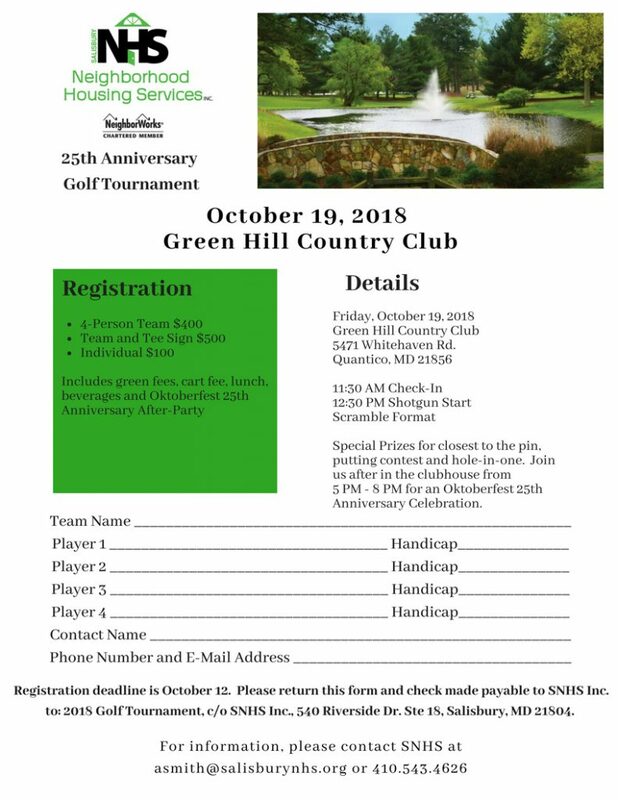 SNHS is organizing a 25th Anniversary Golf Tournament for October 19 at Green Hill Country Club. Join in on the fun to help celebrate all the accomplishments that this non-profit organization has provided for the local community. 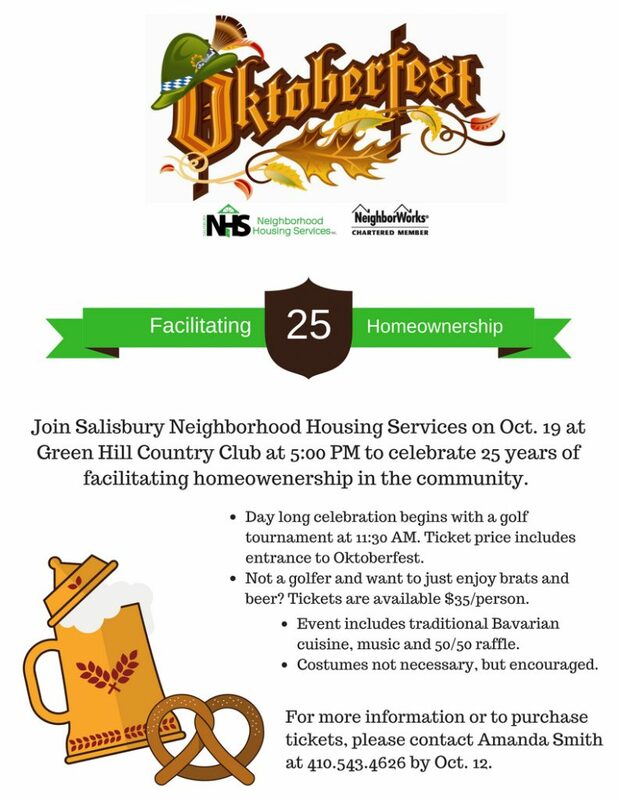 After the tournament will be an Oktoberfest celebration with music and food. Wish to participate? Give us a call at 410.543.4626 or print the flyer and mail to the SNHS Office at 540 Riverside Dr. Ste 18. Salisbury, MD 21801.